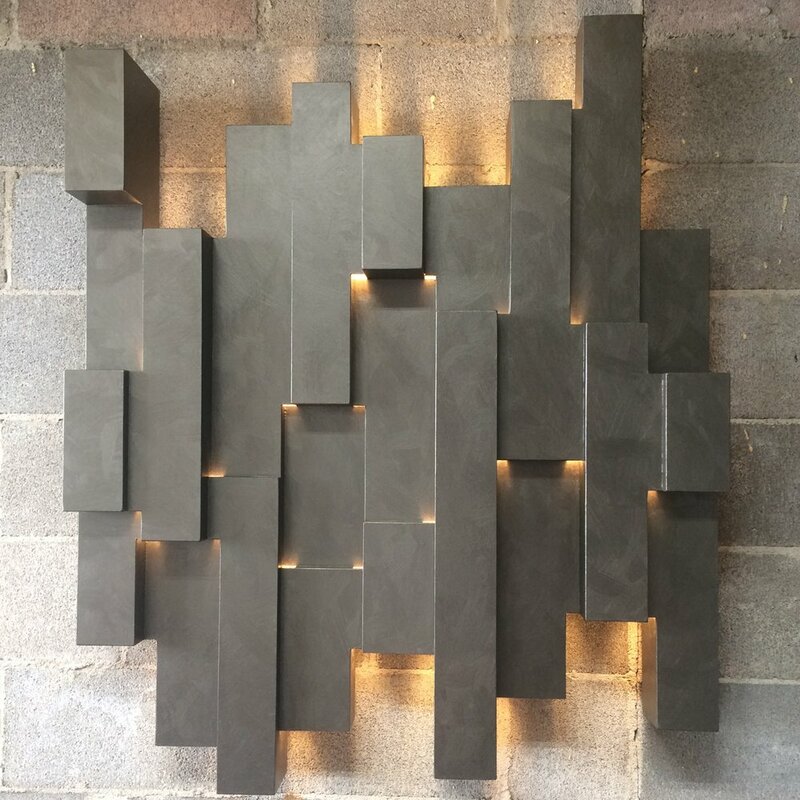 Wall mounted using 1" standoffs which allows, in addition to individual points of light, a halo effect cast against the mounting surface. Not to be used outdoors, however a similar design can be made from aluminum or steel for outdoor placement. Please call if interested in discussing a commission for an outdoor installation. Size can be enlarged or reduced as well as iterations for increasing portrait or landscape orientation.